Charter schools have been hailed as the antidote to public-school dysfunction by everyone from tech entrepreneurs to Wall Street philanthropists. But a critical autopsy by the advocacy group Network for Public Education (NPE) reveals just how disruptive the charter industry has become—for both students and their communities. 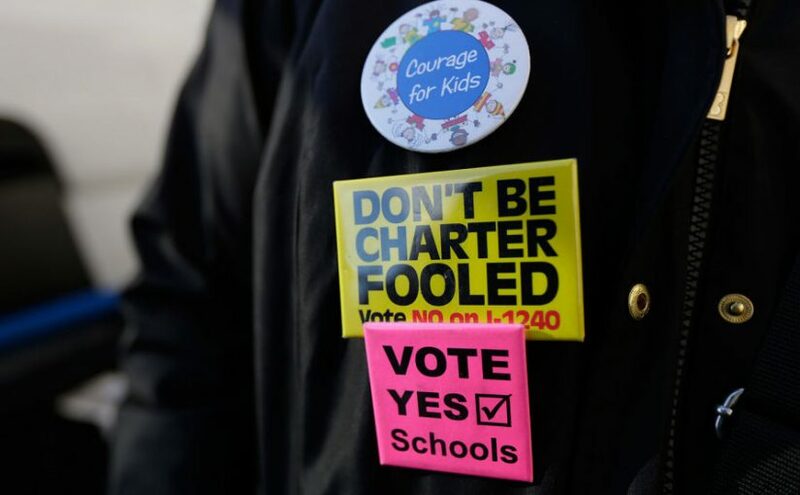 Charter schools are technically considered public schools but are run by private companies or organizations, and can receive private financing—as such, they are generally able to circumvent standard public-school regulations, including unions. This funding system enables maximum deregulation, operating like private businesses and free of the constraints of public oversight, while also ensuring maximum public funding. According to Carol Burris of NPE, charter schools “want the funding and the privilege of public schools but they don’t want the rules that go along with them.” She cites charter initiatives’ having developed their own certification policies, as well as disciplinary codes and academic standards—a tendency toward “wanting the best of both worlds” among both non- and for-profit charter organizations. In California, a nonprofit charter industrial model has flourished. The California Virtual Academy (CAVA) network runs hundreds of schools, delivering online-based programs through “cyber” outlets, often concentrated on students in low-income communities of color. CAVA’s political influence has expanded along with its brand. The Los Angeles Unified School District has seen dramatic effects from the expansion of charter schools as it wrestles with budget crises. The teachers’ union recently estimated that charter funding imposes costs on the district of about $590 million annually (the figure is disputed by charter proponents), which to critics affirms that charters receive a growing share of taxpayer funds while leaving regular schools to struggle with chronic funding shortfalls. 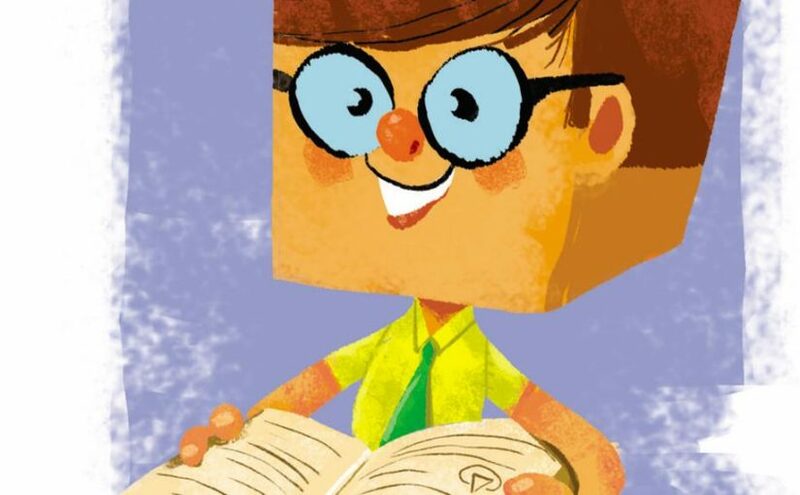 The “flexibility” granted to charter schools also drives questionable academic trends. One online charter chain, managed by the Learn4Life network, serves 2,000 students in 15 schools through distance-learning-based programs. But its modular “storefront” teaching system has been accompanied by a churning enrollment with huge attrition rates. According to NPE, in 2015, four-year graduation rates ranged from zero percent in two of its schools, to 19 percent, with an overall average of less than 14 percent making it through all four years. NPE’s investigation found a similar pattern at a BASIS charter school in Arizona, part of a nationwide charter network. Drawing on an earlier report by the Arizona Center for Investigative Reporting, and reflecting the findings of an ACLU investigation into de facto segregation at Arizona charters, NPE argues that, despite heavy private financing, the school falls short in equity. The predominantly white and Asian-American student body of the BASIS Phoenix school contrasts with the high-poverty, mostly Latino surrounding district. With about 200 students total, BASIS Phoenix ultimately graduated just 24 students in 2016, after shedding 44 percent of the graduating grade’s students over the previous four years. The statistics, which matched similar trends across Arizona’s charter sector, suggest charters may actually be perpetuating the discrimination and exclusionary practices that they claim to help remedy. In response, several school administrators claimed to be striving to address racial disparities. BASIS has forcefully denied that it is abetting inequality in Arizona’s schools, stating that it is “incredibly proud of the diverse nature” of its schools. BASIS.ed also issued a public rebuttal to NPE contending that its chain of schools, overall, maintained high retention rates, did not discriminate by background or ethnicity, and attracted a diverse range of families, as well as donations from them. But the values of the BASIS network don’t necessarily reflect community diversity. The NPE report cites a third-party analysis of BASIS in a high-profile ranking of schools, America’s Most Challenging High Schools: BASIS Phoenix earned a top rating, according to publisher Jay Mathews, based on standards focused on performance scores. BASIS denies that it unfairly screens out children, citing overall high retention rates across the network for most K–12 classes. But the company, which admits it is “not for everyone” and that students do leave, also promotes a structure that prioritizes retaining high-scoring students, while lower performers realize eventually they can’t meet the standards. This approach may boost the schools’ business competitiveness, but education advocates who focus on the social goal of providing equitable education for all see it differently. As NPE argues, “there must be a balance between reasonable challenge and inclusivity.” The demographic polarization linked to charter-school expansion, critics warn, exposes the harmful impact of exclusion on diversity: Charters claim to serve diverse populations, but may actually just be segregating the system further. Examining the broader social impact of charters, NPE tracked financial manipulation and fraud at various schools. In Pennsylvania, lax financial regulations have allowed charters in some districts to absorb extra funding with little oversight. In the New Hope–Solebury School District, for example, the government contributes $19,000 per pupil attending a charter school, even if they are only learning through a screen, since “Those costs must even be paid to cyber charters that have no facilities costs at all.” Another financial question surrounds lopsided pay structures with much higher salaries for charter principals. Charters may offer a different relationship to communities, but their brand of “free market” schooling carries costs. Who accounts for the lost social opportunities when education becomes just another market investment? 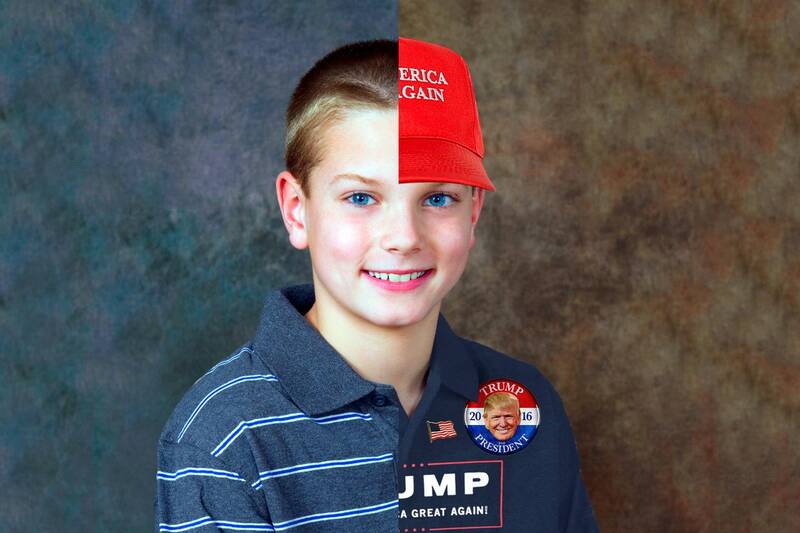 Over the past year, numerous outlets have reported on students who wore Donald Trump-branded clothes and hats to school and were asked to remove it—or just sent home. But a closer look shows the story to be more complicated—a mess of politics, publicity, and schoolkid emotions. What happens when a Make America Great Again hat hits homeroom? WARNING: Some viewers will find this video disturbing,” a disclaimer above the clip reads. Press play and you’re on a school bus in Chesterfield, Missouri with Parkway West Middle School student Gavin Cortina. A female student is screaming, “You want to build a f**k-freaking wall! ?” Cortina, wearing his bright red Make America Great Again hat, yells back, “What’s wrong with building a wall to keep illegal immigrants out of our country?” Then he was “violently assaulted by the young indoctrinated leftist students,” one report reads. Cortina, various outlets reported, is ” pummeled” with punches by his peers who “gang up,” and corner him. “Want to know the even more disgusting part? After he was beaten up, the school suspended Gavin Cortina,” the Conservative Tribune writes. “SUSPENDED for wearing Trump hat,” the headlines read. The narrative was fully formed: a 12-year-old student assaulted for his right-wing beliefs. At least that’s how it was reported by conservative news sites like The Gateway Pundit, The Blaze, The Daily Wire, The Conservative Tribune, The Right Scoop, Breitbart and Fox News. In conversations with the school and Gavin’s mother Christina, I learned the story was a lot more tame. According to their accounts, the argument between Gavin and the other students began before they got on the bus. It didn’t start with politics—but after it went in that direction, Cortina put on the pro-Trump cap. A student flicked the bill of the hat and Gavin responded by pushing him in the back, according to a statement released by the school. There wasn’t a violent assault. No one was pummelled. As seen on the video, a brief altercation ensued between Gavin and a student wearing what appears to be a Vineyard Vines shirt and a puka shell necklace. Gavin’s mother Christina Cortina tells me over the phone that the school’s statement is correct—except that the hat was really flicked off by a student smacking her son in the back of the head. Three students in total, including Gavin, were suspended for fighting—not for the hat. A mediation process would follow. Trump and his supporters have pegged the news media as the “enemy of the American people,” while members of his administration wage war against each other using outlets like the New Yorker. Outspoken figures like Tomi Lahren and Alex Jones bemoan the media as a vehicle for liberal ideas—and paint paint outlets like InfoWars as guardians of the truth. Emerging is a group of Trump-loving students and parents, like Gavin and Christina Cortina, who understand how to wield their stories to demonstrate how toxic liberal ideals really are. Conservative sites are all too happy to provide coverage, flinging these figures to fringe alt-right fame in the process. Since the incident, she’s joined a group called Right Side News as a contributor was a nominee in Hotties for Trump’s “March Madmad Tournament 2017.” Cortina’s case isn’t unique, though: there are a number of students across conservative media who have allegedly worn Trump gear, suffered for it, and been held up as examples of the left’s ruthlessness. And while Cortina has benefited from the ordeal, she isn’t happy with how her story was told across the spectrum—and she’s taken issue with conservative sites as well. “Everybody just lies to fit their own narrative,” she says, seemingly unaware that the same charge could be leveled at her. Inspired by a trove of stories about bans and stern suggestions to students that they leave their MAGA gear at home, I initially set out to explore how campuses are dealing with Trump apparel on school grounds. Gavin Cortina was allegedly beaten up for wearing a Trump hat; at one New Jersey high school, Trump slogans were reportedly photoshopped out of the yearbook. The answer wasn’t as simple as finding banned Trump gear, though, because, in speaking to a number of schools, students, parents, and administrators, I didn’t find a school that outright barred it from campus, despite what many conservative sites have reported. Instead, I discovered people and media outlets speaking out on the subject in ways that seem to align with their preferred narratives. Armed with his story, Mullen reached out to the Trump campaign after the original incident. His reasoning echoes the Cortinas’. “I thought it would help because it shows that the ‘pro’ free speech people were trying to shut mine down,” he says. In late 2015, a high school banned Trump gear from a football game because it could be interpreted as “offensive” or “racist,” according to Breitbart, echoing language in a student-run newspaper. The story was picked up on The Blaze, Daily Caller, and Gateway Pundit added a “WOW!” in its headline. The story even crawled all the way up to Fox News, which—along with every one of those outlets, but for Breitbart which claims it unsuccessfully reached out—apparently didn’t corroborate the report before publishing. (Fox News did not return a request for comment.) But none of them reported what I learned after calling Corona del Sol High School: the school’s official comment is that nothing was, or has been, forbidden. When I called the school, the woman who answered the phone laughed at me when I asked if there was any truth to the story. “Of course” there’s no rule about Trump apparel, she said. The faulty info about banned Trump apparel originated in an op-ed in the student-run newspaper. It’s since been deleted from the paper’s site. In the summer of 2016, nine-year-old Logan Autry was allegedly banned from wearing a Trump hat to his Fresno, California elementary school. 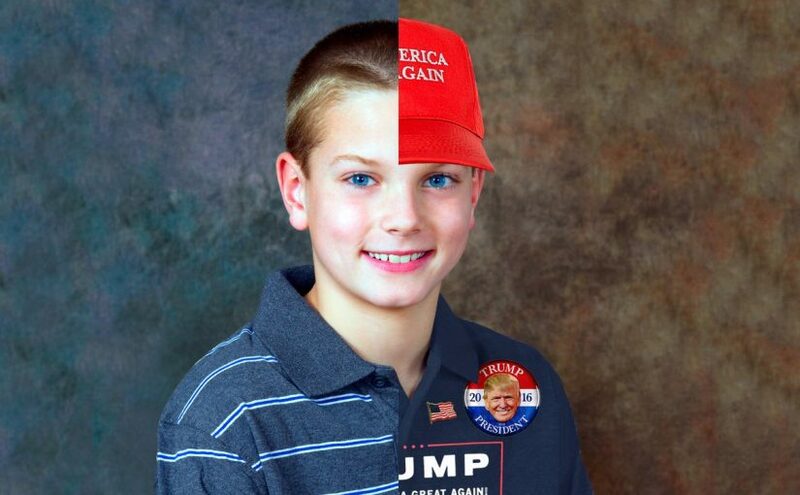 After attending a Trump rally, Autry wore it to school three days in a row until he was asked to remove the hat. Autry started making the rounds—a local station in Columbus, Ohio, ABC30, NBC11, and eventually ended up on the national NBC News site and the New York Post—and invoked the constitution. “The First Amendment says I can wear my hat,” he told NBC4i Columbus, WCMH-TV. His story blew up to such a degree that Trump reportedly sent Autry another signed hat after a dog used the original as a chew toy. The story according to the school, though, is that Autry was briefly asked to remove that hat because it was causing a disruption. “However, to be clear, school officials never imposed an outright ban,” Fresno Unified School District’s superintendent Michael Hanson told the Los Angeles Times. “School officials reached out multiple times to the guardians to inform them that the student could continue to wear the hat as long there were no further incidents of disruption,” a school statement reads. “However, the guardians have not responded.” Autry’s family, however, says that administrators never reached out about the hat. Incorrect or incomplete original stories clouding out corrections isn’t unusual, though. In the case of Parkway’s Gavin Cortina, misinformation quickly spread way beyond Chesterfield, Missouri and became a galvanizing force for those on Cortina’s side. The district was inundated with calls from people screaming profanely into the phone about how it bungled the aftermath of the fight on the bus. A representative for the school tells me that almost none of the calls were actually coming from the Missouri area, but instead from places all over the country. Free speech has always had its limitations—and determining what’s allowed gets even thornier when it’s done on a school campus. Even in cases where students were asked not to wear Trump gear, it’s possible their schools are in the clear: it’s legal to prevent students from wearing something if it’s proven to be a disruption. These more recent cases will likely never sniff Ruth Bader Ginsburg’s robe, though. Most of the ones I encountered in the media involve either a suspected lone wolf—like the New Jersey high school’s Photoshopgate, which resulted in the suspension of the teacher who advised the yearbook class—or kids getting teased for wearing something Trump-related and then being asked to remove it because it’s caused a distraction. These confrontations are distressing, but they aren’t proof of a large-scale conspiracy by schools to brainwash children with liberal values. Even a teacher (who wished to remain anonymous) who works at a school that made local headlines in Virginia for the way a student wearing Trump apparel was allegedly “mistreated” said she herself hasn’t witnessed any students dressed this way. However, she did write back to say she’s heard students talking about how they’d seen instances of students saying racist things to black and Latinx students after the election. Raquel Hernandez, who worked as a fifth grade math teacher at the predominately Latinx Stand Watie Elementary School in Trump-leaning state Oklahoma, says that she also didn’t see much Trump apparel on campus. Instead, according to Hernandez, it was mostly teachers who stickered their cars with Trump endorsements and made off-color comments to students about issues like abortion. “Too many of you people use it as a form of birth control,” Hernandez recalls a teacher telling a student. And in Georgia, a third grade teacher who asked to remain anonymous, says she’s never seen students wearing political apparel. “Although they do repeat their parents’ political opinions,” she says. It’s important to let kids express themselves at school when it doesn’t cause other people harm, but it’s just as important for outlets to report the full story. Think back to Gavin Cortina’s fight on the Parkway bus: before it was reported as the latest battle in the culture wars, Gavin’s mother explains, the fight actually started because Gavin told a classmate to stop talking about her personal politics. “My son was like, ‘That’s kind of inappropriate conversation,'” says Christina. She would spend the next days on television defending her son’s freedom of speech and right to express himself.